Fourteen years ago – on February 11, 1998 – I launched the Seger File. I didn’t know it at the time, but it was the beginning of one of the most fulfilling things I’ve ever done, all because of the people I’ve met and the friends I’ve made. When I started, the site had very few graphics or images. I figured the information superhighway, as we called it back then, was all about information, not pictures. Also, my computer was way too slow to handle images well. The site was launched on a dial-up Internet service – almost everything was dial-up back then. I built the site in Claris Home Page, doing most of the coding in the cafeteria of Sparrow Hospital in Lansing, Michigan. My mom was in the hospital recovering from a stroke, and I could only see her a few times a day for short periods. In between visits, I’d go back to the cafeteria and do more coding. The site still runs on Claris Home Page, which only works on Mac OS 9. I keep an old laptop around to host the site. I do all the updates on a MacBook Air, then transfer them to the old laptop to upload. On the day after I launched the site, there were four visitors. There was no Google at the time and so no Google analytics. I’ve had several different visit-counter/analytic programs over the years, some of which are no longer functional, so I don’t really know how many people have visited the site in all. In the past five years, there have been 200,000 unique visitors. A photo I took at the Primo Showbar in Ann Arbor in 1973. I gave it to Seger at the next show. He used it on the back of his next album. I was tremendously fortunate to have started a site about Seger at a time when he had pretty much dropped out of sight. That meant that instead of reporting news, I had to create essays. Without a lot of information to rely on, I had to give the site a personality. It made me a better writer. Want to know what’s up with Seger these days? Do a Twitter search or set a Google alert. If you wanted to know what was up with Seger in 1998, there weren’t many places to go. I’d hit the library, look through the microfiche and the out-of-town newspapers. If I found something, I’d make a photocopy, come home and re-enter the information. There were no other Seger sites back then, so for years the Seger File was the only online resource. In 14 years, I can only remember four times when people have asked me to take things down from the site. One was a bad review of a video, a couple were photos, and one was when I posted some lyrics Seger hadn’t released yet. There was more sarcasm and humor in my writing during the early years. 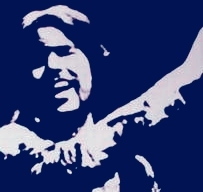 When Seger got inducted into the Hall of Fame and the Detroit Free Press called me for an interview, I realized a lot of people were reading the site, and I became a little less gonzo and a little more journalistic. When the BBC called for an interview, I knew the site was making an impact. And there’s still plenty of sarcasm on the annual April Fools post. You might imagine that over the years, a person running the Internet’s largest Seger site would hear a lot of rumors and information that can't be posted. You’d be right. I initially named the site “The Segerfile.” Then I realized search engines weren’t listing it when people searched for “Seger.” So now I usually write “The Seger File.” But I still like Segerfile better. And the best thing about the site, by far – all of you. Thanks for all your encouragement and friendship over the years. As Seger says in one of my favorite lines, no one has to tell me I’m a lucky man, and it’s your friendship that makes me feel that way. 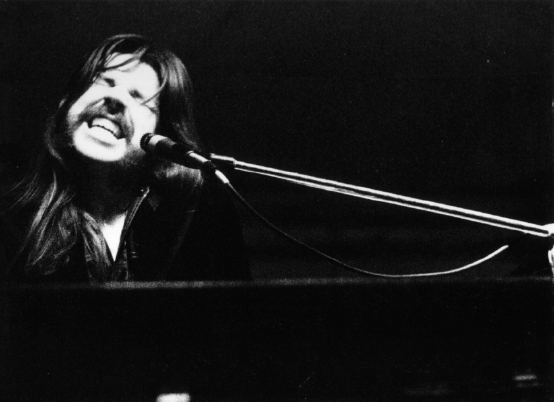 Bob Seger, the Tigers, America the Beautiful. For a lot of us, the second half started right here.